Please join our Face Book Group for more information on pups and pictures. Please click below and fill out our contact form before inquiring about one of our pups. Completed forms are requested to help better match families with pups and it serves as a way to get to know you better. Forms are not used to determine eligibility for a puppy. We do have a waiting list and pups are placed in order of families on the list. Waiting time for a pup is usually 6 months to a year. At times pups do become available if a pup is born and no one on the waiting list request the color/gender of the pup or the families on the waiting list decide to wait for a future pup. 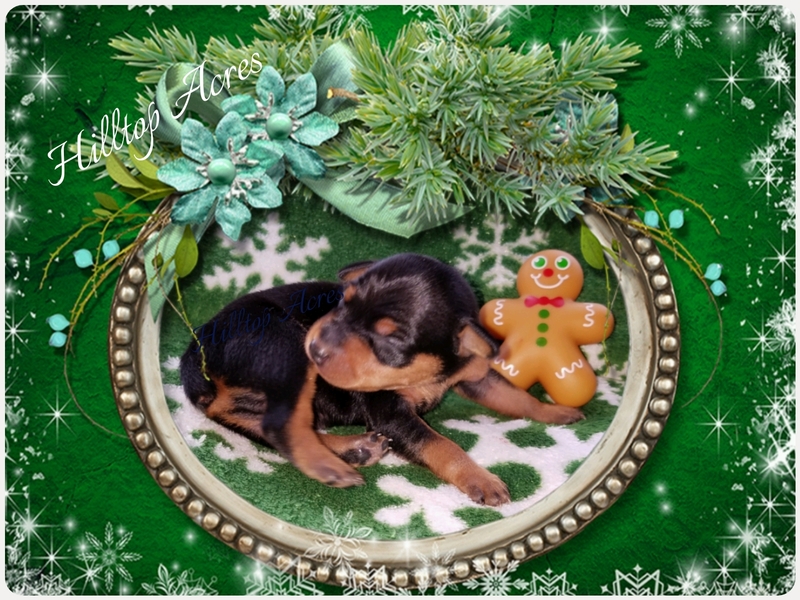 Available Black and Tan Male Minature Pinscher. All of our puppies come with Tails Docked & Dewclaws removed unless previous arrangements are made BEFORE pups are born. ​We do NOT crop ears … We do produce Natural Erect Ears and Natural Bob-tails! ​Our adults have been DNA tested and genetically tested for all known testable diseases of their breed. All puppies come with Full ACR or HPA registration certificate, micro chip, Veterinarian health guarantee, 1 year genetic guarantee and vaccinations appropriate for their age. and USDA certificate.